Home renovation is the process of upgrading the interior or exterior framework and developing a new appearance of your home. Today, the home renovation companies grow in number which provides effective remodeling services to the customers. But, it is quite a difficult to look for the right one. 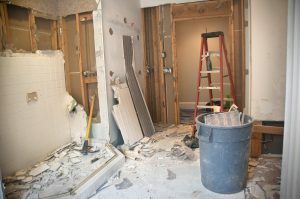 Once you plan to remodel a home, Central1Contracting is one of the greatest remodeling companies in Long Island NY, which offers a wide variety of home renovation services to people. We can hold the home improvement experts who offer trusted and reliable services to the customers. Some of the homes remodeling services provided by these experts are kitchen, basement and bathroom remodeling in East of Long Island as well as in and around the Suffolk County area. With 15 years of experience, we pride ourselves on offering our customers the highest quality work in the industry at the lowest possible price. Our customers are always our top priority and we do everything we can to be sure that each project is completed on budget, on time and with 100% customer satisfaction.